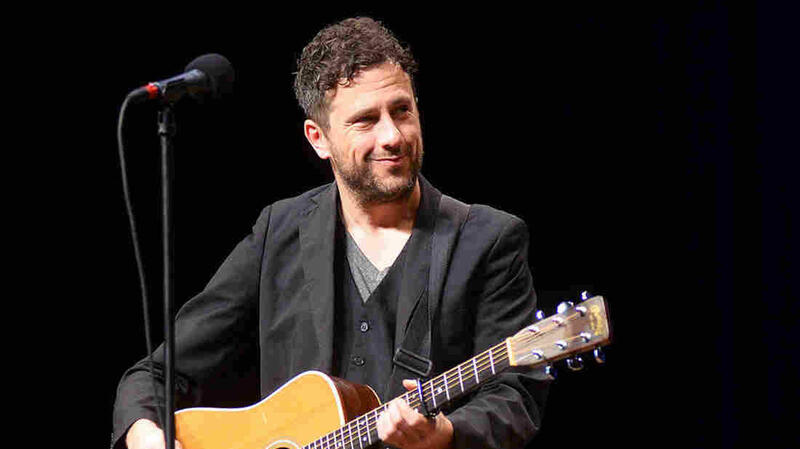 Born and raised in Tennessee, songwriter Will Hoge made his name honing a blend of soulful Americana and heartland rock & roll. After spending his childhood in the Nashville suburb of Franklin, he left Tennessee to study history at Western Kentucky University. Music drew him back home, however, and he relocated to Nashville to assemble a band that included former Georgia Satellites guitarist Dan Baird. Hoge then cut his teeth on the Southern bar circuit and issued a live release, 1999's All Night Long, before inking a deal with Atlantic Records. With the label's support, he entered Memphis' famed Ardent Studios to record his official debut, Carousel, with engineer John Hampton (the Replacements, Gin Blossoms). The album was released in 2000, and Blackbird on a Lonely Wire followed in 2003 (albeit without Baird, who'd left due to the band's demanding tour schedule). Record sales were slim, though, and Hoge found himself receiving minimal attention from his label. Requesting release from his contract, Hoge was made a free agent. Following his departure from the Atlantic roster, Hoge combined a relentless tour schedule with a string of independent releases, from live albums and brief EPs to a full-fledged studio effort (2006's The Man Who Killed Love). Rykodisc took note of Hoge's work, particularly his 200-plus shows per year, and signed the artist. Draw the Curtains, Hoge's fourth studio album and first effort for Rykodisc, was released in October 2007, followed by an aggressive fall tour. Recording sessions for another record began in 2008, but work was temporarily postponed on August 20th, when a scooter accident left Hoge severely injured. Months of physical therapy followed. Hoge focused on his recovery for the remainder of 2008, eventually returning to the studio project in 2009 and releasing The Wreckage later that year. Hoge put out his seventh studio album, the appropriately titled Number Seven, in September 2011. He and co-writer Eric Paslay received 2012 Academy of Country Music (ACM), Country Music Association (CMA), and Grammy nominations for Best Country Song for "Even If It Breaks Your Heart," the opening track on the Eli Young Band's album Life at Best. In December of 2012, Hoge released the digital-only EP Modern American Protest Music, which included the songs "Folded Flag" and "Ballad of Trayvon Martin." In October of 2013, Never Give In, his eighth full-length, was released by Cumberland Recordings. The album's first single, "Strong," was tapped by Chevy for its 2014 Silverado pickup truck ad campaign. He followed it in 2015 with the album Small Town Dreams, which landed at number 15 on the country charts. While touring in support of the record, Hoge hit a career wall. He enjoyed writing songs for others and playing live, but he had fallen out of love with being in a band. What followed was a period of introspection. He let his working group go and took off on a cross-country jaunt playing solo. Reclaiming the joy that inspired him to make music a vocation in the first place, he began writing while traveling. He reentered the studio with an ace cast of studio players and completed Anchors. The self-produced 11-track set was previewed in June 2017 by the single "Little Bit of Rust" (a duet with Sheryl Crow), and followed two weeks later by "Baby's Eyes." The album proper appeared in August from Eldo/Thirty Tigers. Hoge quickly followed Anchors with My American Dream, which appeared in October 2018.